Drones can be pricey, making them a challenging option for children’s gifts this holiday season. That’s why Parrot has come out with a line of light-weight drones for kids. 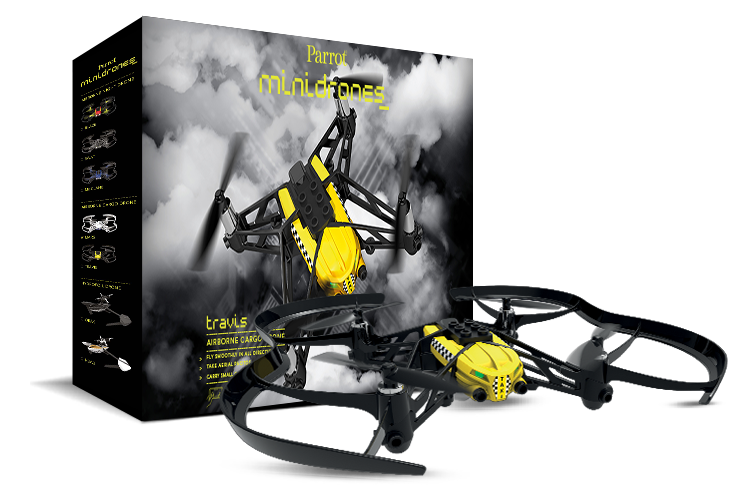 Their new line of Airborne drones connect via Bluetooth and are controlled with the free FreeFlight 3 app for smartphones and tablets. These mini-drones can be used both indoors and outdoors. A vertical camera compares, every 16 milliseconds, an image of the ground to the previous one to determine the speed of the Minidrone and also enables it to take snapshots, which are saved on the 1 Gb flash memory. The Airborne can only hit speeds of up to 11 mph, but kids will enjoy making it do tricks in the sky.